Home | Hiking and Trekking- What’s the Difference? 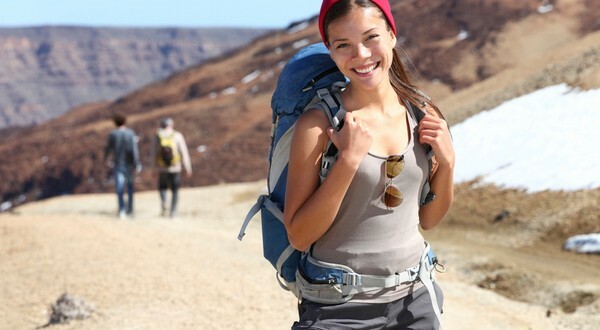 Hiking and Trekking- What’s the Difference? You go walking amidst Mother Nature’s ample trails for hours and come home saying you had been on a trekking spree. Did you choose to go on a leisurely walk amidst the unfathomed ways of the woods or took the challenge of braving by foot difficult terrains otherwise inaccessible by vehicles? If it is the former you had gone on a relaxing hiking trip. If it is the latter activity you had taken up you had been trekking all the way. One of the main differences between hiking and trekking is that they vary considerably in their intensity. While the former involves physical movement through well-planned trails and man-made roads and is generally a moderately paced and leisurely activity, the latter embraces walking not only through definite paths but even traversing unknown and undeveloped terrains. Thus hiking is much more relaxing to the body and mind and is a fun-filled activity taken up by enthusiasts for finding solace and pleasure. Trekking is much harder on the body and often involves taking challenges through myriads of types of paths many of which often need endurance, strength and tenacity to brave. Since trekking is more rigorous than hiking, the equipment used are more varied than the latter. Hikers generally can do with a compass, a pair of comfortable and durable shoes and a walking pole. Trekking enthusiasts, on the other hand, require a pair of tough shoes to wear, camping gear to halt at places, food, water, clothing and other accouterments for survival since for most of the time the trips span more than two days. In some cases where trekking endeavors are taken up by a group of people and some are employed additionally for cooking meals and making other arrangements for the people, individual trekkers often do not need to take the responsibility of bringing in individual food. But for a backpacker or even for a hiker on a long day hiking trip basic requirements like hydration supplies and food needs to be taken. Additionally, a trekker requires vivid maps and keen orienteering skills to find his way through the different terrains he traverses, which takes him through roads, as well as undefined trails. Finally, while both require planning before embarking on the journey, trekking needs a more well-defined plan chalked out since trekkers may be left in places completely shut off from the rest of the world for several days unlike hikers who traverse through beautiful locations which are known. As far as getting up, close and personal with nature is concerned trekking takes you in closer communion with nature in all her pristine and virgin beauty.